On Saturday the second of January Diego Simeone and his men will welcome Levante in the Vicente Calderon Stadium for the 18th round in the Spanish Primera Division. 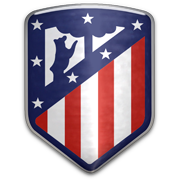 Atletico Madrid is still in the title race which is the result of impressive work by Diego Simeone. The manager needs to be very creative every year by signing new players after being forced to sell his most important. Levante on the other hand is in the bottom of the Primera Division and will fear to be relegated to the Segunda Division which is not a surprise; the team simply does not have the qualities to play a role in the Primera Division. We predict Atletico Madrid to easily walk over Levante and beat the team from Valencia with 3-0. Antoine Griezman showed to be an important player in 2015 and will be motivated to show his skills in 2016 again. Diego Godin is considered one of the best defenders in the history of Uruguayan football. The Atletico Madrid centre back played for Cerro and Nacional in the Uruguayan national championship between 2003 and 2007 and in August, 2017 he signed a deal with La Liga side Villarreal. Godin made 91 league appearances for the Yellow Submarine and on 4 August he made probably the best decision of his career as he signed a contract with Atletico Madrid. The Uruguayan defender won the 2013/2014 La Liga trophy with los Rojiblancos, while making it to the Champions League final on two occasions (2014, 2016). He won the Europa League trophy in the 2011/2012 season with Atletico Madrid as well. Speaking of his international career, Godin clinched the 2011 Copa America trophy with Uruguay. Despite playing as a centre back, Diego Godin often scores after set pieces and you should have in mind that he scored eight goals for Diego Simeone’s team in the 2013/2014 season (all competitions). 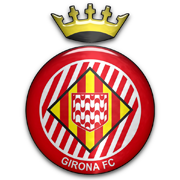 Levante Union Deportiva is a Spanish football club from the city Valencia and is playing in the highest Spanish football division since 2010. The club is the second biggest of Valencia after the very known football club Valencia CF. The Valencia derby is one of the most hectic football games in the region. The nickname of Levante UD is Las Granotes which literally means the frogs. The club host it’s home games in the Ciutat de Valencia Stadium which holds a capacity of 26 000 seats. 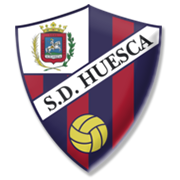 The club colors of Levante are blue and red. 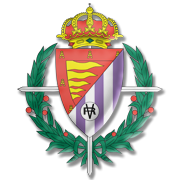 The biggest success of Levante UD was in 1937 where the club won the Copa del Rey. Other prizes Levante won in lower divisions are the Segunda Division A in 2004 and the Seguda Division B in 1999. Famous players that played for Levante are Johan Cruyff, Sergio Garcia, Arveladze and Juanfran.